There’s no reason that you should be stuck with an out-of-date faxing system in your office. You can easily replace your current fax setup with an online faxing service, and in the process, you could save a lot of money. If you are planning on updating your phone system to a VoIP system, then you can get a VoIP fax system while you’re at it. And if you don’t want VoIP phones, you can still use regular Internet faxing or a VoIP faxing system by itself. Lots of cheap online and VoIP faxing programs are easily available for immediate download and use on the Internet. An online faxing system will greatly improve your current faxing setup. Faxing will be easier and cheaper, and if you want to, you can even get rid of your current fax machine. 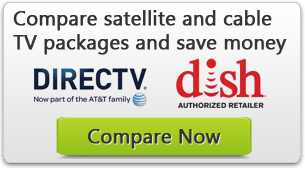 Use the table below to compare online fax providers, and then read on to learn more about sending and receiving faxes over the Internet. An online fax system works just like a VoIP system works for phone calls. How does VoIP work? VoIP uses an Internet connection to make phone calls using a digital telephone or computer. An online faxing system works just the same way. With an online faxing system, you replace your old faxing phone line with an Internet connection. What do you need for online faxing? There are several different ways that you can use online faxing. You can fax with or without a fax machine, and you can fax with just an Internet connection, or with an Internet connection and VoIP. To fax online without VoIP, you simply scan your document onto your computer, and turn it into a PDF or TIFF format. Or if you are using a fax machine, you can connect it to your Internet directly. You then send the document as an email attachment which can be read by a receiving computer or fax machine. There are many programs that you can download for free or cheap online faxing. Companies can offer a faxing service for free because it is effectively free to send a fax over the Internet. Without the need for a telephone connection for a fax machine, there is no need to pay for long distance fees or a phone line. However, free services are usually limited to a few faxes a day. After that, faxes can cost as much as $1/page. It is slightly different to send a VoIP fax. Most business VoIP service providers have a fax service. However, these are generally not included in business VoIP plans. Rather, they are distinct plans that you need to buy separately (sometimes, fax and VoIP are bundled together). With RingCentral, the Fax 500 plan costs $6.59/month. This plan includes 500 faxes. Additional faxes cost $0.059/page. Using a VoIP system, you may be able to use the fax machine you currently have. If your fax machine can work with a T.38 gateway for your Internet connection, then you can use VoIP faxing with a standard fax machine. If not, you can just scan documents onto your computer. Your gateway needs to be T.38-compatible because VoIP was not designed to send fax data but voice data. T.38 is a protocol that allows fax data to be sent over the Internet. If you are going to keep your fax machine, then you will send faxes in the same way that you used to. If you aren’t using a fax machine, then you can install VoIP faxing software on any computer, cell phone, or other Internet-capable device. This allows you to easily send any scanned document, or any item in your cloud as a fax. Because VoIP faxing is different from other online faxing systems, it has a few different advantages and disadvantages from other online faxing services. You stand to significantly cut down on your office fax bill by switching to online faxing. There are lots of online services for sending faxes. Some of these offer limited free deals, which usually means you can fax 2 or 3 pages free per day. This is a good deal if you are just need to fax a few things occasionally. But if you are a business and you need to send more faxes each day, you can start with 100 pages of faxing for $9.95 with GotFreeFax.com. If you are interested in a VoIP faxing system, you can buy small faxing plans like the vFax Single User from Nextiva. vFax costs $4.95/month for 500 pages. You do not need to have a VoIP phone system in place to use Nextiva vFax faxing. Compare these prices to the cost of buying and maintaining a fax machine. A new fax machine can cost well over $400 today. In addition, toner can cost up to $30, and repairs can cost up to $95/hour.